(HTS) - SLEC Conferences are held every two years and focus on a selected topic. From September 10-15, 2015, I took part in the twenty-second congress of the Society for the Law of the Eastern Churches, held in Thessaloniki. 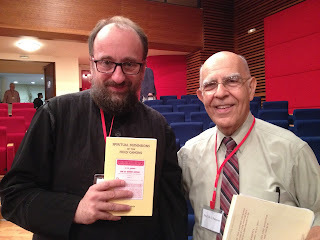 The theme of this conference was oikonomia (in Byzantine canon law this term means "wise implementation of strategies designed to assure salvation"). The theme of this year's congress was especially relevant to my recent research. I recently published an article titled The 19th Canonical Answer of Timothy of Alexandria: On the History of Sacramental Oikonomia" in St. Vladimir's Theological Quarterly 51 (February 3, 2007). At SLEC conferences, papers are presented at the invitation of the Board of the Society, which at this time is headed by Bishop Kyrillos (Katerelos) of Abydos (Ecumenical Patriarchate). In the course of the four-day event, participants from 15 countries read 27 papers covering terminology, church teaching, and specific areas of application, such as the relations of episcopate and monastic houses, and Orthodox relations with non-Orthodox. In 2013, I was invited to present a paper at the conference in Bari, Italy on the current laws of the Russian Church, which has since been published in Kanon, the journal of the SLEC. 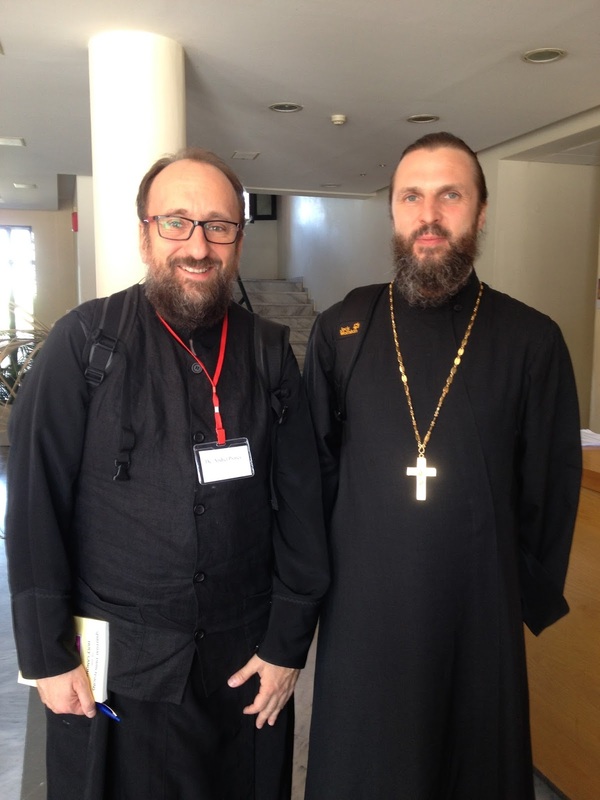 The conference presents a unique opportunity for participants to meet leading Orthodox canonists and to get first-hand updates on a wide spectrum of issues relating to canon law. For instance, at the 2011 conference, in Athens, I became acquainted with the Finnish canonist Jelisei Heikkila, who later visited Jordanville and held a seminar for our students on the discussions about divorce during the All-Russia Local Council (1917-1918). Every seminarian has a copy of this book. As a regular participant of this conference my knowledge of the subject matter grows and I am able to not just represent the Russian Orthodox Church Outside of Russia but also Holy Trinity Orthodox Seminary. On a daily basis, I am able to explain to my students the current canon law issues of the day and the various responses of other scholars. An example of a canon law discussion I have had in canon law class can be found here. I would like to thank the anonymous donor and the Fellowship of Sts. Alban and Sergius for their donations, without which my participation in the SLEC conference would not have been possible. Fr. Andrei Psarev received his B.Th from Holy Trinity Orthodox Seminary, M.Th. from St. Vladimir's Orthodox Theological Seminary and is currently a Ph.D. Candidate at Queen's University in Belfast, Ireland. He is currently the professor of Russian history, Russian Church History, Byzantine History, and Canon Law at Holy Trinity Orthodox Seminary.